Just to give some forewarning, today’s post is going to be Monday-ish. You know how Mondays are? It’s the day when you wake up and have a million thoughts, plans and lists going all at the same time–that’s this post. Monday-ish. So, here we go…Give me a good book and an even better piece of produce and I am a happy camper. 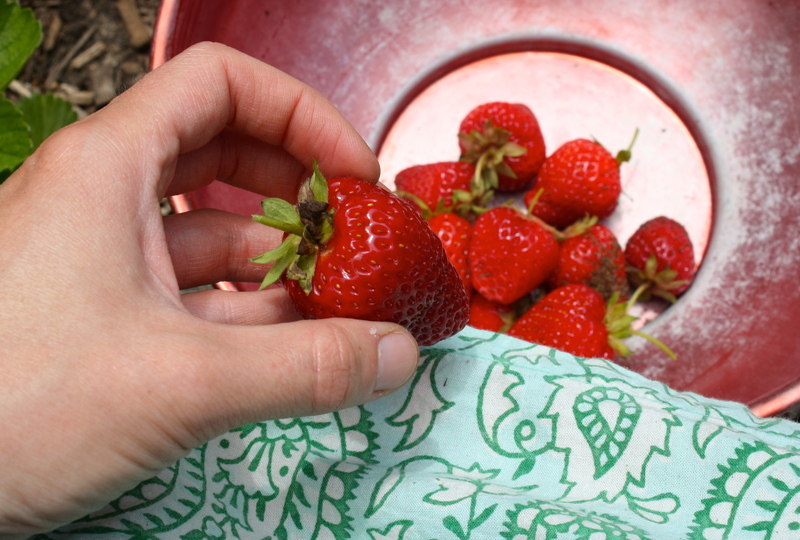 Last week, I reached for two of my favorite books and some of my favorite spring-time produce, and I was off. I have often talked about this book before in past posts, but Animal, Vegetable, Miracle by Barbara Kingsolver is a book that will change your world. Not only is it a beautifully crafted piece about Kingsolver and her family’s journey toward eating locally, but it is also filled with the most delicious recipes! I looked out my kitchen window to find our strawberry and rhubarb bed was overflowing with goodness, so I knew this was the book I needed. 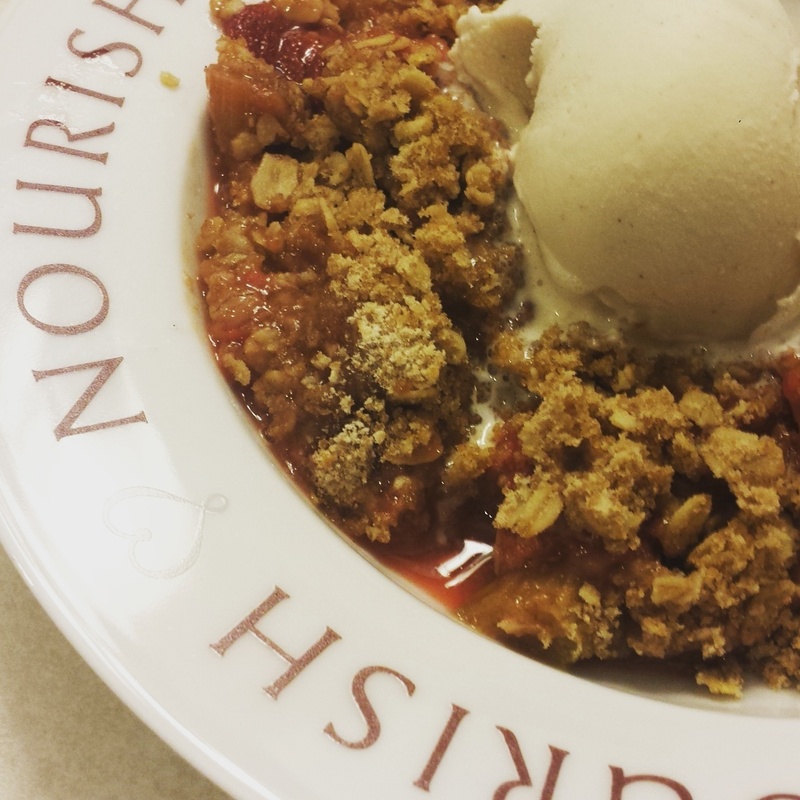 I went with one of my favorite recipes in that book: the strawberry rhubarb crisp. This recipe is a family favorite, using very little refined sugar, and I love cooking it up in my small stoneware baker because I can cook in it and serve from it. This time, I chose to dish up this gooey creation in our nourish soup bowls, which I thought looked just lovely because of the matching color profiles. The other reason I have so many of these bowls on hand is because $2 of every bowl is donated to Feeding America. Also growing in our strawberry and rhubarb bed is asparagus. We didn’t have a great crop of asparagus this year, so we supplemented our own with some from the farmers’ market. 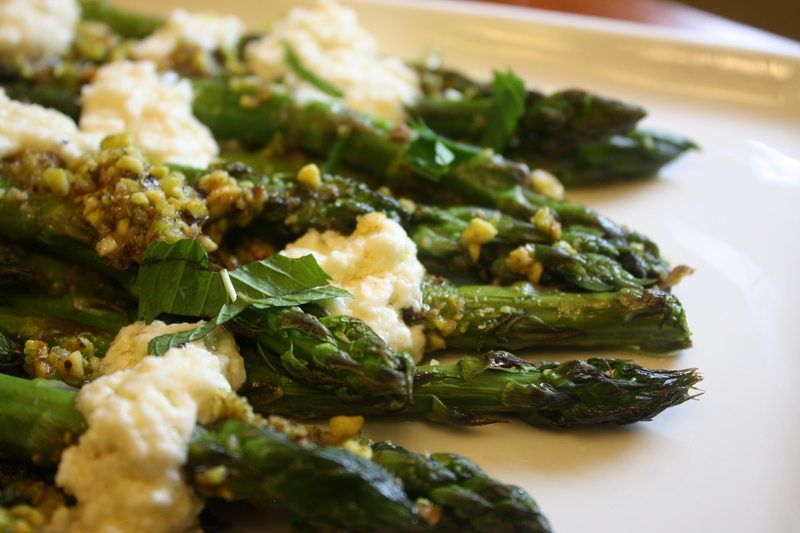 I tried a new recipe, pistachio-crusted asparagus with feta vinaigrette, from Ashley English’s Handmade Gatherings to showcase this delicious perennial. It was absolutely divine. In fact, every recipe I have tried from this book has been a crowd pleaser. 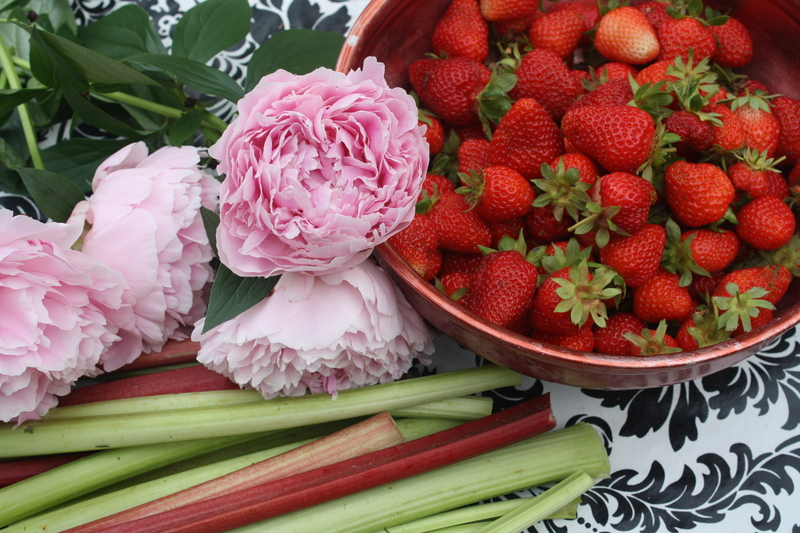 Now you may have noticed that when discussing the strawberry rhubarb crisp, I mentioned (and linked to) a few of my favorite kitchen essentials. Please understand, it is not my intention to lure you to my blog with discussions of holistic living and sustainability and then try to sell you something. Instead, I would love to share some of the kitchen items I use every day, because they help to make my life easier. My hope is that in sharing this information, I can also help to make your meal preparation easier. The other reason in sharing this information with you is to provide a means to contribute to my family financially. After 3 years of debate, I have decided to leave teaching for good and homeschool my daughters. I have wanted to homeschool ever since my eldest went off to kindergarten, but always held back because homeschooling was just too very far outside the box at that time in my life. But as I mentioned last week, I need to do what I believe is best for my family, and for us, homeschooling is where it’s at 🙂 I have never beed more sure of a decision in my life, but the fact of the matter is that there will be a gap in our income. I have worked (or maybe I should say dabbled) as an independent consultant with Pampered Chef for over five years, and I believe it’s business model is one that is keeping with my family’s belief structure. It is based in Illinois (where we live), many of the products are made in the U.S., they provide funding to Feeding America and the American Cancer Society, and they allow women and men to work from home and put their families first. So, from time to time, I will share some products that I use, and it is up to you whether or not you would like to link to them and find out more information. I hope you understand my reasoning in doing this. Well, if you have followed me through to this point, you have made it thought my Monday stream-of-conciousness post. Books. Produce. Recipes. Pampered Chef. Homeschooling. Lots of Action. I wish you all a wonderful week, in which you can work through all those thoughts, follow through on all those plans, and check off all those items on your lists. Happy Monday, friends. This entry was posted in Holistic Living, Recipe, Sustainable Living, Uncategorized and tagged Animal Vegetable Miracle, Ashley English, asparagus, Barbara Kingsolver, Feeding America, food, garden, gardening, gardens, Handmade Gatherings, holistic, holistic living, home, homemade, homemaker, homemaking, homeschooling, make, making, mama, mindfulness, mom, mother, pistachio-crusted asparagus with feta vinaigrette, recipe, strawberry rhubarb crisp, sustainable, sustainable living, The Pampered Chef. Bookmark the permalink. Blessings for you and your new adventure! It will all work out fine, some times you just have to go with what you feel in your heart. 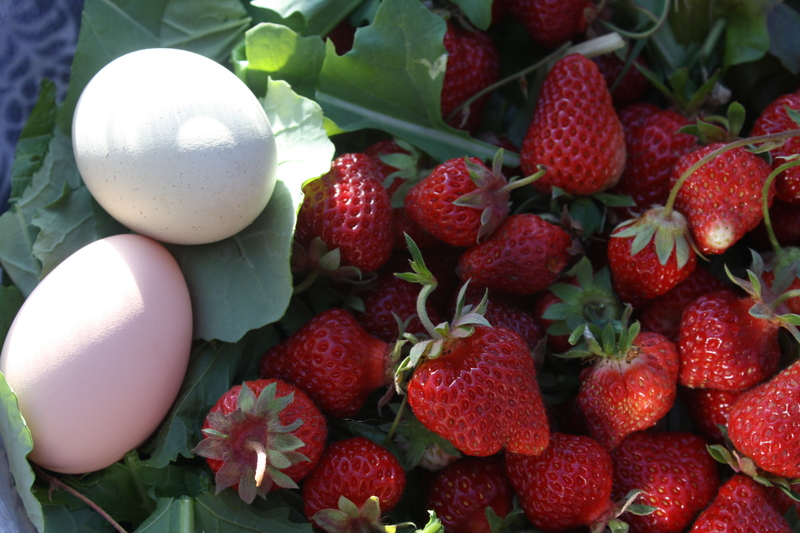 I love all your wonderful ideas on food preparation and seeing all the wonderful goodness out of your garden…..keep it coming! I’m so excited for you! I knew homeschooling would be perfect for you and your family when I first read your blog! So happy you are making it happen!